Nintendo has added the Spewart Outfit as another new costume to Super Mario Odyssey, that you can buy from the Crazy Cap store in-game as long as you have finished the main story. You will need to buy the Spewart Hat and Spewart Suit, that let you dress the moustachioed Italian plumber as the royal blue hat and suit-wearing member of the Broodals – the evil, rabbit-like wedding planners that appear in the Nintendo Switch exclusive. 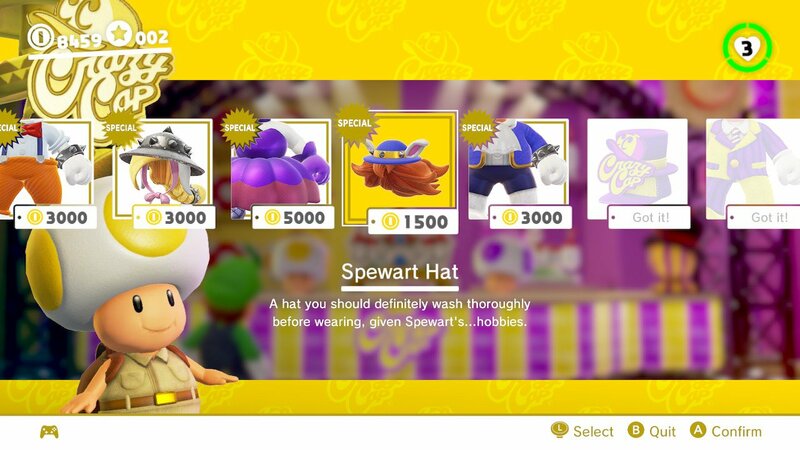 Spewart Hat (1,500 Coins): A hat you should definitely wash thoroughly before wearing, given Spewart’s… hobbies. Spewart Suit (3,000 Coins): An outfit that reminds one of school days – of reading, of writing, and of full-body finger painting.